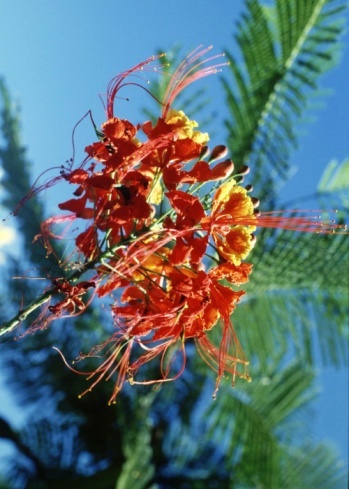 Mexican bird of paradise is also called the pride of Barbados because of its origin in the Caribbean. It is a spectacular plant for landscapes in USDA hardiness zones 9 through 11, and can tolerate the lower temperatures of zone 8. In the warmer zones, the Mexican bird of paradise will begin blooming brilliant red to orange flower spikes in the spring and continue through the hottest time of late summer. The blossoms of the Mexican bird of paradise are particularly appealing to butterflies and hummingbirds. When not deadheaded, to encourage more blossoms, the Mexican bird of paradise will produce pea-like pods filled with seeds. The seeds of the plant are an easy method of propagating Mexican bird of paradise. The Mexican bird of paradise prefers warmer climates. Collect the seed pods of a Mexican bird of paradise and put them in a brown paper bag. 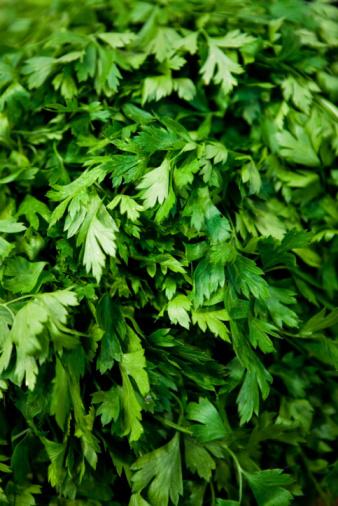 Place the bag in a dry spot, like a garage, and wait for the pods to dry out and open. Separate the hard seeds from the pod. Use sand paper to gently sand the outside surface of each seed. This is called scarification of the seed and helps the seed absorb water for germination. Soak the scarified seeds of the Mexican bird of paradise in a bowl of warm water for several hours. Plant the soaked seeds in well-draining soil in a sunny location, or plant the seeds in a container filled with general potting soil. The seeds should be planted 1/4 to 1/2 inch deep. Water the planted seeds to moisten the soil, and keep the soil moist, not saturated, until the seeds germinate. When the Mexican bird of paradise seedlings are several inches tall, allow the soil to slightly dry out between watering. As mature plants, the Mexican bird of paradise prefers soil to dry between watering and is drought tolerant.